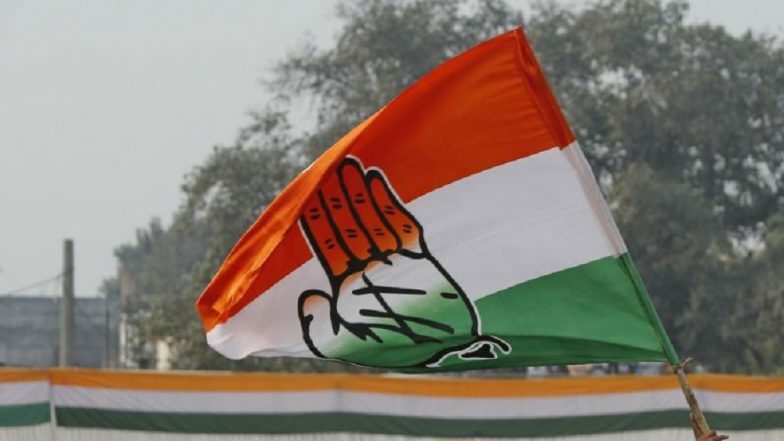 New Delhi, March 19: The Congress on Tuesday released its 5th list of candidates for the Lok Sabha elections 2019. A total of 56 MP aspirants have been named -- from Telangana, West Bengal, Andhra Pradesh, Assam, Odisha and Uttar Pradesh. The constituencies from where the Congress has revealed its candidates are those going to phase in the first couple of phases. Among the prominent leaders named in the Congress' list includes Madhu Yashki Goud from Telangana's Nizamabad, N Uttam Kumar Reddy from Nalgonda. Abhijit Mukherjee to contest from Jahangirpuri, West Bengal and Adhir Ranjan Chowdhury from Berhampore. Congress Releases 4th List for Lok Sabha Elections 2019, Shashi Tharoor, Nabam Tuki to Contest Again. While the Congress has issued 5 list of candidates so far, the BJP is yet to reveal its aspirants from any of the parliamentary constituencies. The party is expected to release its first list tomorrow, following the BJP Central Election Committee meeting scheduled at 5:30pm. With days before the filing of nominations for the first phase, the ruling NDA received a shot in the arm, after an opinion poll conducted by Times Now-VMR predicted a return for the ruling regime. The coalition is predicted to win 283 seats, comfortably above the halfway majority mark.